Dr. Joseph Pechter is a graduate of Dartmouth College and completed his dental and periodontal residencies at Tufts University School of Dental Medicine. He is a Board-Certified Periodontist and specializes in dental implant surgery and gum procedures in South Florida. Dr. Joseph Pechter’s Broward dental implants practice located in Hollywood just off of I-95 on Sheridan Street and is easily accessible by Hollywood, Pembroke Pines, Weston, Hallandale, Aventura, Plantation, Fort Lauderdale, and South Boca Raton residents. Dr. Pechter’s dental services include dental implant surgery, cosmetic implant dentistry, dental implant reconstruction, gum grafts, bone grafts, sinus grafting, periodontal surgery, cosmetic periodontal plastic surgery, and dental hygiene. Dr. Pechter will work with your general dentist or prosthodontist to provide you the best comprehensive treatment plan possible to restore your teeth and gums and achieve optimal oral health. Dr. Pechter specializes in the science of periodontal disease therapy. This includes reversing bone loss that occurs due to gum infection. By regenerating bone and the supporting structures surrounding the teeth, periodontal disease can be eliminated, reversed, or controlled. 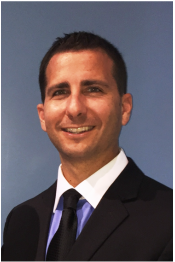 Professionally, as a leader in his field, Dr. Pechter has served as President of the South Broward Dental Society. He continually reaches out to a wide range of dental health professionals to educate and create awareness about some of the latest treatment plans for the management of gum disease and dental implant surgical reconstruction. Our commitment is to treat your dental implant and periodontal needs in a professional, timely, pain-free and comfortable manner. We welcome the opportunity to provide you with the highest standard of up-to-date care possible.